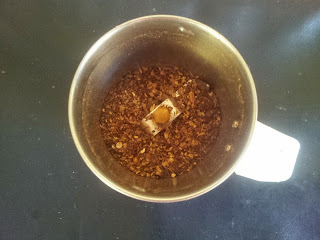 Dry roast the ingredients listed under 'to roast & grind' to golden brown then grind it to a semi coarse powder,Set aside. 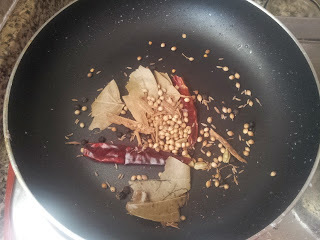 Heat oil in a kadai and add whole garam masalas,ginger-garlic paste and slit green chillies . Then add onion and once the it turns golden brown add tomato pieces and stir fry for 2 minutes. Add required amount of water and add coriander leaves..Finally add the ground powder and cook for 5 min and switch off.